Dean’s Sausage Company started in the home kitchen of Perk and Opal Dean in 1955. Their pursuit of a quality southern sausage recipe has since moved out of the kitchen and into breakfast, lunch, and dinner products across the Southern United States. Through a discovery session discussing Dean’s goals and key performance indicators (KPI’s), Alabama Media Group put together a marketing strategy to expand Dean’s product perception and increase sales. 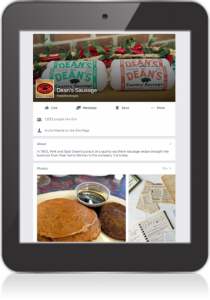 In conjunction with the awareness and engagement components of the campaign, a large focus was to build an online community around Dean’s Sausage Company. The first place someone goes to learn information is usually a business’ website. An informative, up-to-date website that is responsive on all devices (mobile, laptops, tablets, etc.) was crucial for Dean’s Sausage Company. 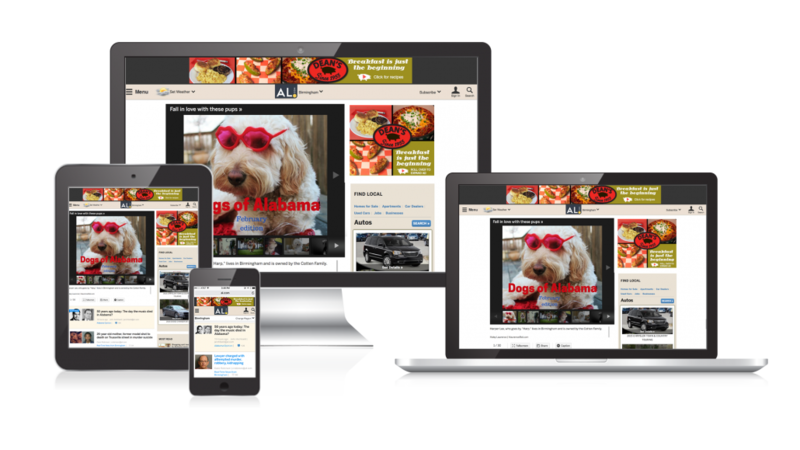 Alabama Media Group created a new website for Dean’s that would provide a great user experience on any device and house product information and recipes. Having an online home for classic and new recipes was a pillar of the campaign – if Dean’s wanted customers to start using their products outside of breakfast, it was important to make their recipes as easy to find as they were delicious. 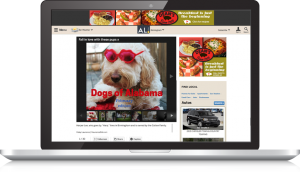 The next task for Alabama Media Group was to inform customers of Dean’s products and share their recipes. In order to broaden the Dean’s Sausage perception, it was important to reach their core customer base, Moms. The “Moms” audience takes into account factors, such as online content consumption, and demographic data, such as someone who has self-identified as a mom – the culmination of exclusive, first-party data collected by Alabama Media Group and affiliates with third-party data providers. An important component of the campaign was to test various ads to see which messages and which sausage products resonated most with the core audience. To initially show the range of Dean’s products in breakfast, snacks, and meals, Alabama Media Group began by showing static, digital display ads. This helped to provide the frequency and consistency needed to broaden the perception of southern sausage. Every customer behaves differently and makes purchase decisions at their unique pace. To provide instant engagement for those who see the ad and want to browse recipes within the ad unit, responsive rich media ads were added to the campaign. These interactive ad units provide a unique ad experience that takes the customer from the awareness to engagement phase of the buying cycle. 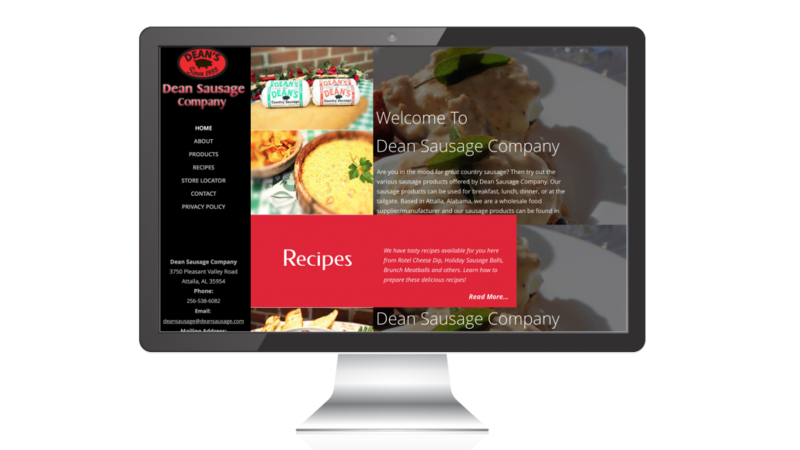 In conjunction with the awareness and engagement components of the campaign, a large focus was to build an online community around Dean’s Sausage Company. 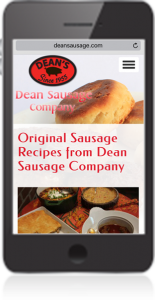 Dean’s cares that people use their sausage and wanted to learn more about their customers to better serve them. Alabama Media Group created a Facebook page, managed and updated posts, and analyzed the activity in monthly face-to-face meetings with Dean’s.